Stabilizers. We have to have them to embroider properly. But there are so many! What are they all used for? In this class we will talk about each one and give you ideas on how to use them. Please call 970-565-7541 or e-mail Cindy no later than Tuesday, September 8 at noon to reserve your space for this event. You do NOT need to own a BERNINA to attend this free event. Need feet? 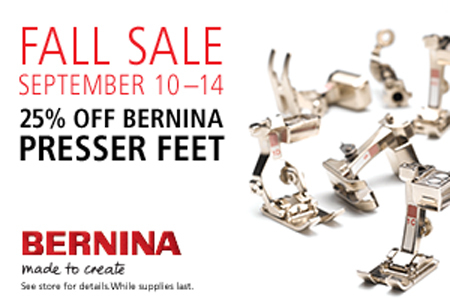 If so, make your list and come in September 10-14 when all BERNINA presser feet will be 25% off. 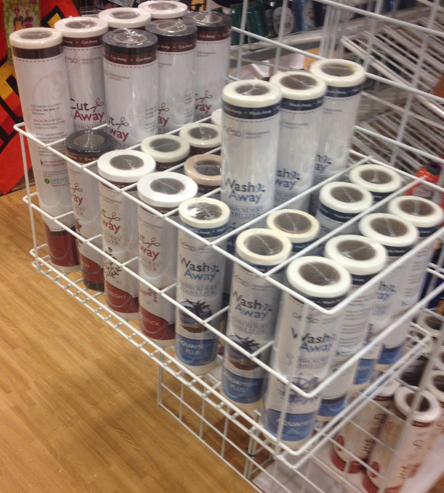 Is an embroidery unit, new software, a software update, or the new BERNINA trolly bags on your wish list? During this same time period take advantage of 0% financing for 24 months on BERNINA purchases $500 and up. Find out more about financing here.